Families build strong connections and loving relationships through breaking bread together. Family meals provide numerous benefits for the development and well being of children. Around the world, sharing family meals is considered a ritual that is packed with specific benefits for family health. In Colombia, many families call the meal “los tres golpes.” This means “the three blows”—breakfast, lunch and dinner. A family meal in Colombia is considered cherished time together, a reminder of unity amongst work and sometimes difficult life situations. People in Lebanon commonly cook together and eat together. Lebanese dinners often are a work of art, bringing in healthy, delicious food while enjoying the company of families. In my own research, I can’t find a country in the world that doesn’t recognize the importance of family meals. 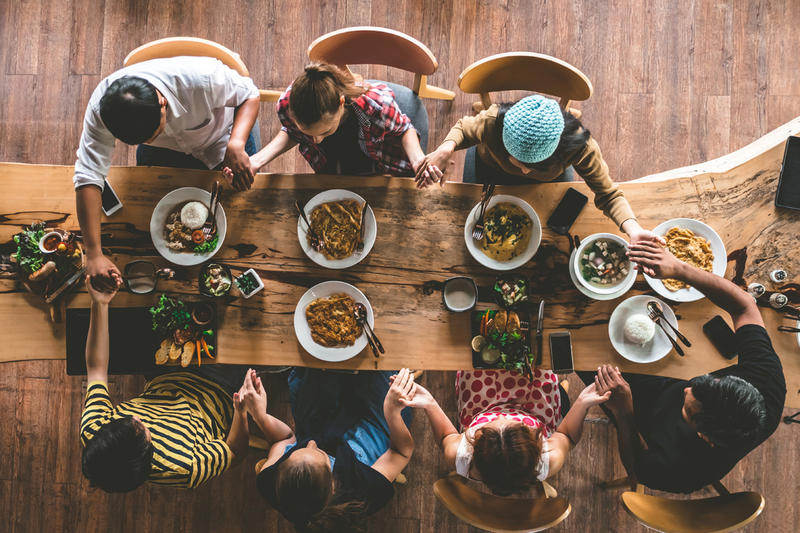 The idea of a ‘family meal’ may invoke guilt since our own hectic life schedules often seem overwhelming to say the least. That’s why it’s so important to approach family meals with intention. Planned family meals can be achieved by prioritizing family meals in your schedule the same as you would outside activities. If you sometimes work through dinner, try to schedule family meals on your days off. 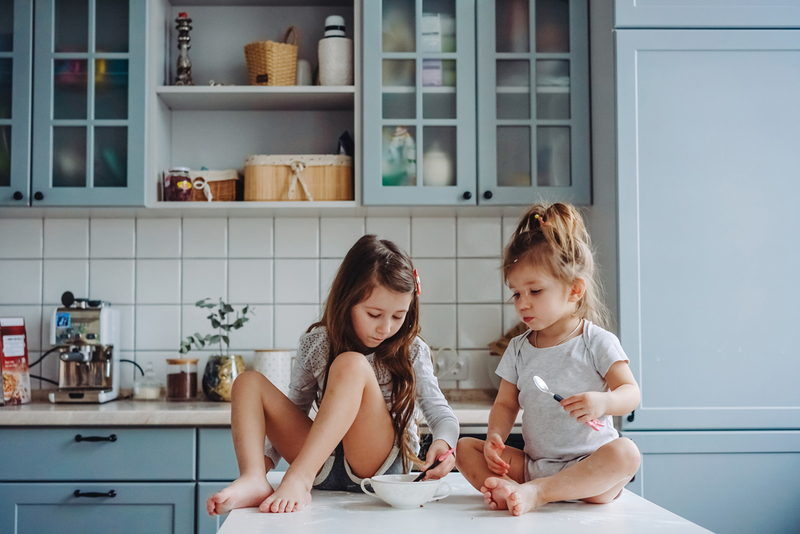 Routine family meals require some effort, particularly reminding all children and adults to keep their schedules open for the agreed-upon day and time. If you currently have no family meals, start small – prioritize two meals together per week. You can choose to increase as time goes on. Often, once the habit has been started, more shared meals will naturally become part of your family’s schedule. There are many research-backed benefits to having a family meal. The following lasting benefits of a family meal provide some compelling reasons to make breaking bread together a priority. 1. It expands your child’s vocabulary. Researchers have discovered that young children who have dinnertime conversation get a nice vocabulary upgrade earlier than their peers. This early vocabulary boost translates to better school performance. Kids who have a large vocabulary read earlier and more easily. 2. It provides more family connection with improved adolescent health. A prioritized dinner together is the most reliable way for families to connect and find out what’s going on with each other. Our teens are often in their own world. This pull away from the family is developmentally appropriate as their brains prepare for adulthood. But adolescents also need connection. Teens who dine regularly with their parents are provided a relaxing place for communication and are less likely to experience substance abuse and depression. Sitting at dinner and chatting will open up hearts and conversation. 3. It promotes healthy eating. 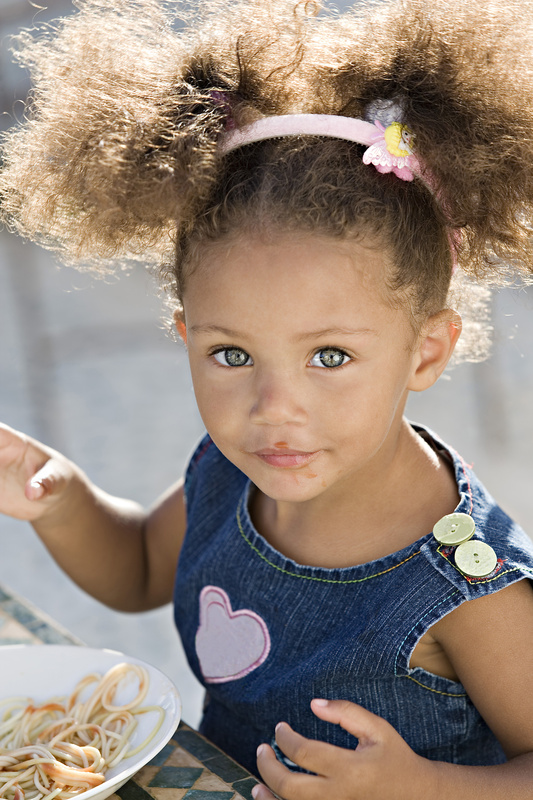 Family meals help children to eat healthier. Meals on the run tend to be less healthy. Children learn from the role models at the table. While sitting with the family, children are more likely to select healthier foods. Another benefit of regular family dinners is that children will tend to get a more balanced diet. If everyone is eating at different times, the likelihood of getting all nutrients for the day decreases. 4. Family meals don’t have to be “holiday fancy.” It’s not necessary for family meals to be extravagant or time-consuming. 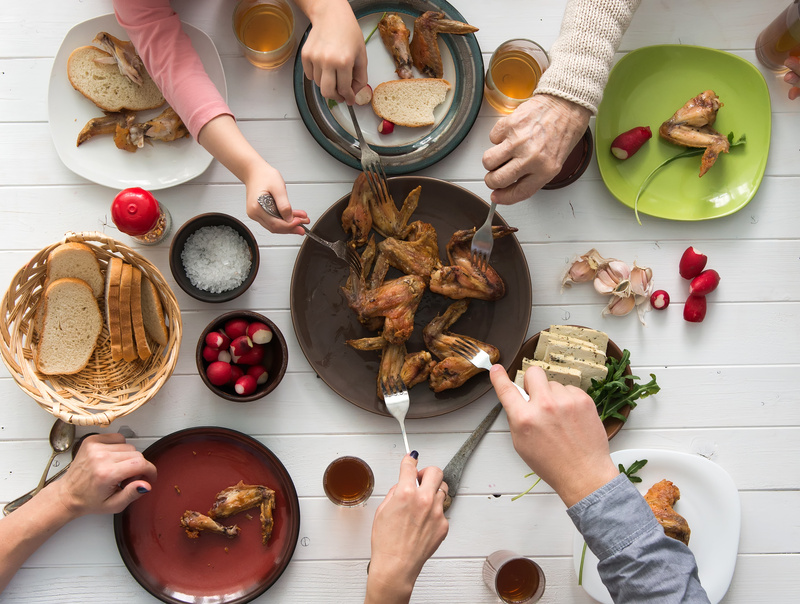 Whether your family enjoys an extravagant dinner or shares cut-up fruit and chicken with vegetables from the crockpot, your family is still eating together in a meaningful way.